Denim is a fabric that never goes out of style! As some denim trends come and go it can be difficult to determine what pieces to invest in. We have THE staple pieces to add into your wardrobe! A denim staple that you can carry through each decade of your life can be tough to come by! From rocking your Osh Kosh B'gosh as a little girl to wearing a more fitted and styled option later in life, overalls translate throughout the years and through each season. This style by Free People is a great classic, yet current option to take from day to night with this dark wash. Throw on a basic tank underneath for the Spring months and for the chilly seasons rock a fitted turtleneck underneath and a pair of short booties. A top that can take you from year to year is the denim button-down. You can throw this on with just about any pant style or skirt or tie it up over a dress! A fun play on the traditional button-down we are seeing this year is pretty embroidery on the shirt like this floral look by JOH Apparel. But if the patterns and detail feel a little out of your comfort zone you can stick to a lightweight chambray style. 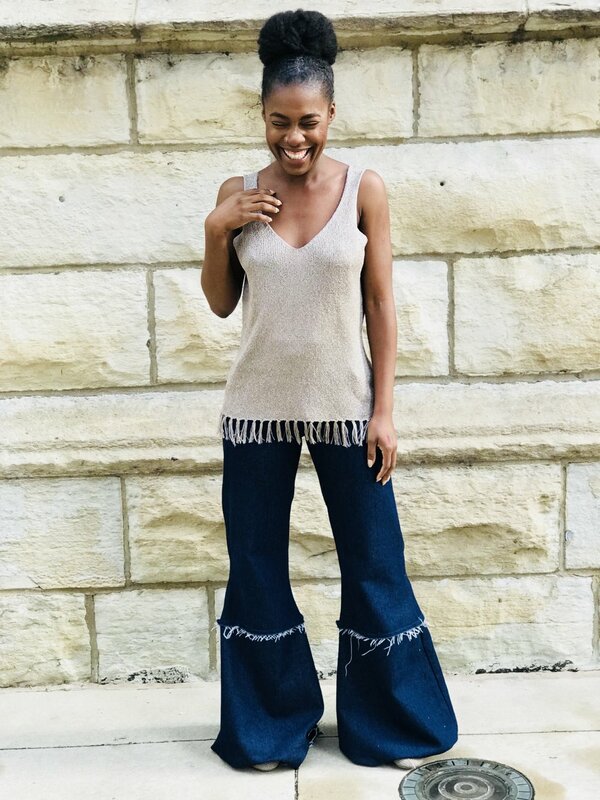 Skinny or straight leg denim is always a cut I recommend to each of my clients since believe it or not, they are flattering on everyone and tend to elongate the body! There are so many ankle styles out there right now that pair perfectly with sandals or a strappy wedge going into the summer months making it easier to get dressed. Opt for a white denim for the Summer like this style from Ann Taylor. 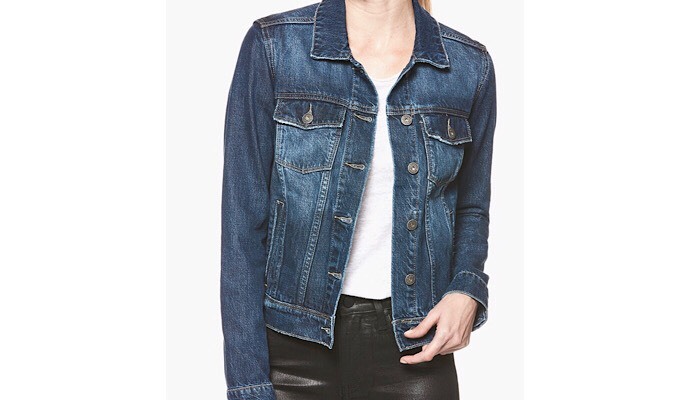 A denim jacket is something that is timeless and is a versatile dress up or dress down item to have in your closet. The spring runways from Tibi to Max Mara were filled with denim, but dark denim in particular which is a great wash to have to throw on with a pair of white jeans for a daytime looks or over a maxi dress for an outdoor party or event. Paige makes a super soft and comfortable style that you can’t go wrong with! Trousers aren’t just for the 9-5 work pant, they come in a denim style as well! Whether it be highwaisted with a slight bell at the bottom (which is classic) or a mid-rise with a larger bell like these by local designer Heidi Hess that is (very trend right now) just make sure to practice proportion! If there is flare on the bottom balance the look out with a fitted top tucked in on the top and finish the look with a heel in a height you are comfortable with. 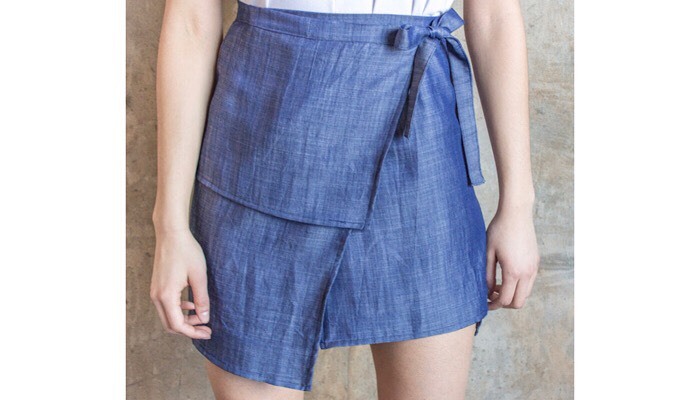 Denim skirts have been around since they became big in the 70’s and have never left the fashion scene! There are so many variations out there to choose from which makes it easier to have options for your body type. An asymmetrical option like this piece by cruelty-free designer Bellantoni is a flattering cut great for most body types!